The specialized area of being a real estate paralegal may sound attractive to many people who love the real estate industry. But you may be wondering what they do every day. 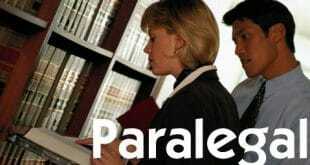 This article will lay out some of the typical duties you will encounter as a paralegal in the real estate field. Another typical duty of a real estate paralegal is drafting contracts and leases. In every real estate transaction, there will be a contract for selling the property if a sell is occurring or a lease if the property is being leased. The duty of preparing these documents will often fall on the paralegal to prepare an initial draft for the attorney to review. Although there is a lot of document preparation involved in the job description, there are also times when there will be litigation over real estate transactions. 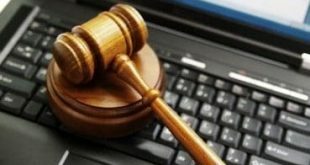 When this occurs, you could have the duty of organizing the documents that the attorney will need for hearings and trials. The paralegal may also be asked to assist in court, especially if there is a large volume of documents to be introduced into evidence. If the firm you work for is involved in foreclosing, you will be responsible for preparing the foreclosure documents. You could also be given the responsibility of ensuring that all proper notices are sent to the owners of the property. In addition to the documents named above, there are other documents that may be required to draft. For example, if a property becomes involved in a bankruptcy, you may be asked to draft a proof of claim. Therefore, being well versed in all areas of real estate will put you in the best position to do a good job for their employer. As you can tell, being a real estate paralegal will require you to have a variety of skills as well as specialized knowledge in this field. But, if you enjoy being in the thick of drafting documents and seeing transactions completed, this may be the perfect position for you.